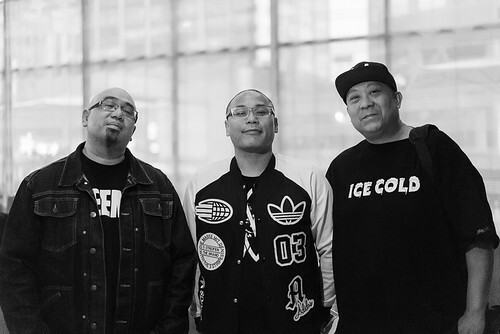 The homie John Pangilinan came through to the last Dinner & A Mixtape in LA and put together this interview for thehundreds.com about joining my love of music, find food and travel. Peep it. I LOVE to Eat. Over the last 15 years my travels as a DJ have given me the opportunity to grub all over the world. 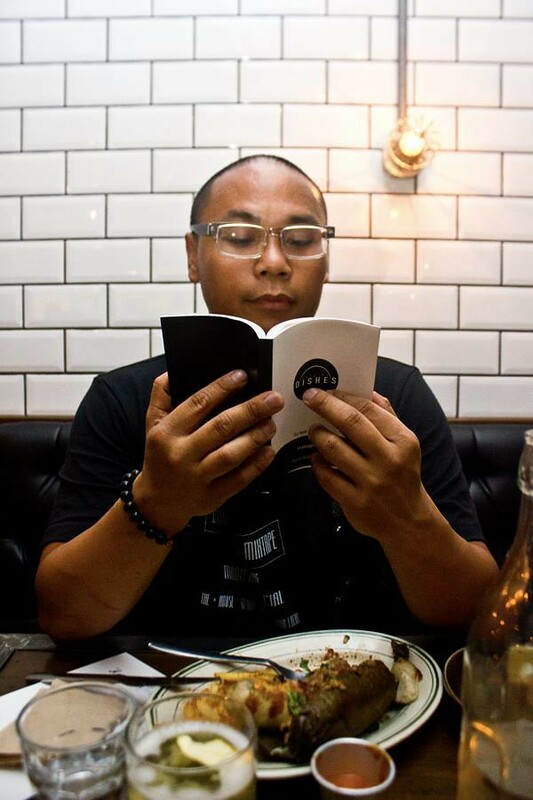 For the last 3 Years I’ve been documenting all the great food I’ve eaten via my instagram page – @djneilarmstrong It got to the point where folk started hitting me up for places to eat when they were in NYC, clinic in Tokyo, in Sydney etc etc. The instagram posts started to become a guide for my fellow foodies/music lovers. 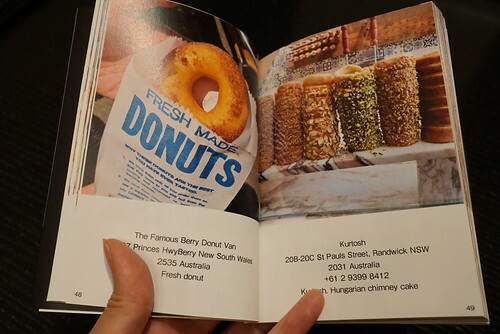 So to make life easier, I’m putting all the info at your fingertips with the this next release by yours truly and my partner in crime Yuko Ogino – Leaving Dishes Vol 1 – The Instagram Food Guide. Only 250 copies printed. Over 140 pages, over 100 restaurants in 34 cities around the world. If you are in a city that I’ve eaten in and need some advice on where to eat, you can find out all the necessary info with ease. 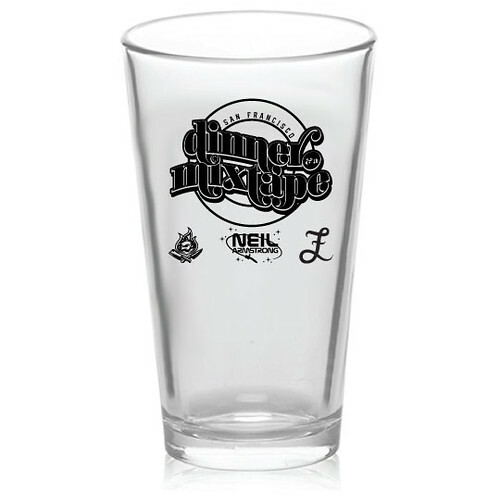 For those that missed out on the #DinnerAndAMixtape San Francisco event a few weeks ago, order you missed out on picking up one of these dope Pint glasses, perfect vessel to quench your thirst. If you guys have been following my instagram and Facebook, illness you know I love to eat when I travel. I recently did an instagram takeover for foodrepublic.com, and it went so well they wanted me to start doing a travel food journal for them. Food Republic. This is a company and a website founded on the idea that guys everywhere are putting food at the center of their lives like never before. Whether you’re a casual cook, help a pro, or you don’t set foot in the kitchen unless starvation is creeping in and that months-old package of ramen in the cupboard is more appealing than the drive to the nearest fast-food joint, chances are you think about food a lot. For my fans who follow me on instagram and facebook, you know I love food. Love to cook it, love to take pictures of it, and definitely love to eat it. 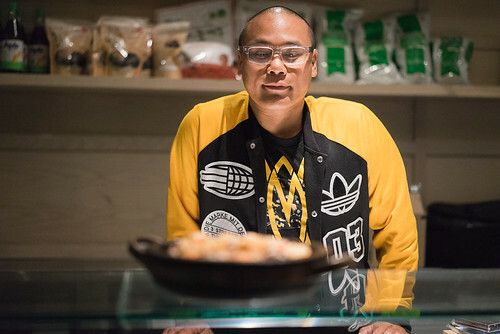 My life as a DJ has given me the opportunity to travel the world, and on the way I’ve eaten a thing or two or ten that I would normally not get a chance to sample. 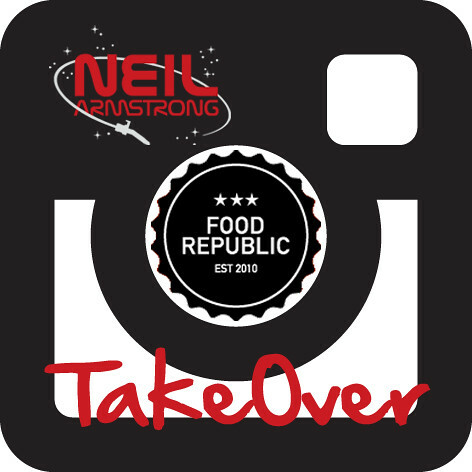 For the next 2 weeks @foodrepublic is letting me TakeOver there instagram, to share with you some of the food and experiences I’m having while out here on the other side of the world in asia. For my foodie travellers, I’ll be showing you guys and gals stuff to add to your eating bucketlists. You will get to see some local eats from Tokyo and Kyoto Japan, Seoul Korea, Shanghai China, Hong Kong and Beijing . A Happy Traveller is a well Fed one. 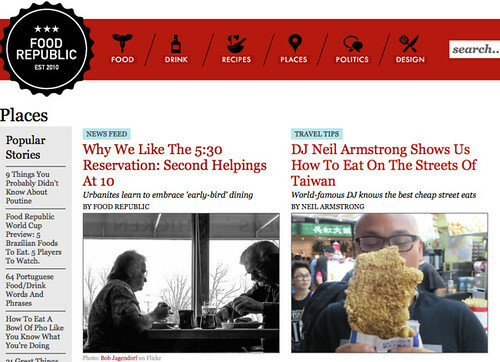 Remember to follow my foodblog at pommedesgarcons.com ! Packer Shoes is one of my favorite sneaker spots for sure, generic and this last event is one of the reasons why. In 2004 famously wore two different colors of his adidas T-Mac3 representing the east and the west in the All Star Game. I of course made sure to cope a pair for myself, which I got signed by the man T-Mac. And I of course brought some gifts for Mr. McGrady too . 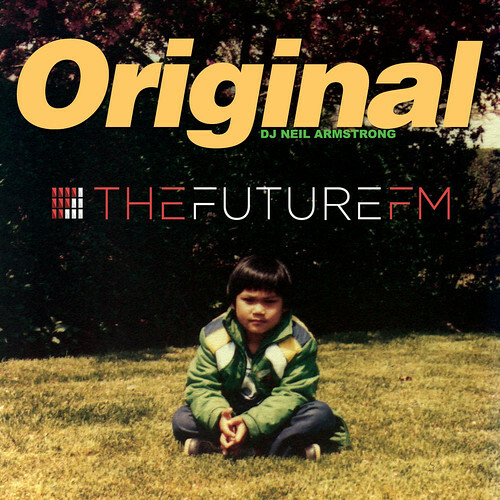 I ran into a lot of technical difficulties today, so for until 10 PM Eastern Standard Time I will streaming the new mix FREE via thefuture.fm After that, it will be available via Subscription to thefuture.fm and also via Digital Download at the DJ Neil Armstrong website. In the meantime, enjoy the free stream…. 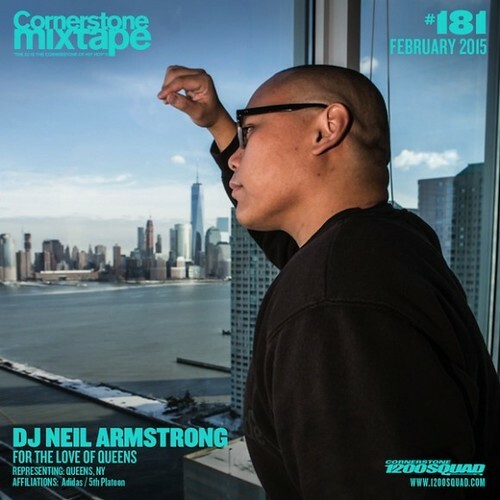 Valentine’s Day is around the corner and DJ Neil Armstrong is at it again, online with a new mixtape to provide the soundtrack for your Feb 14th . 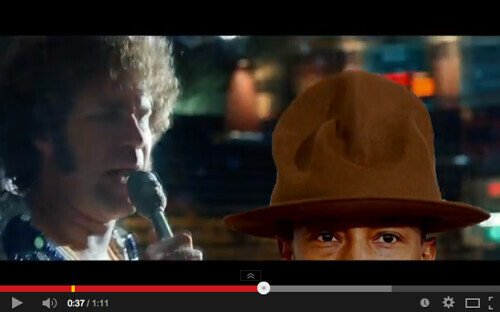 As always, look Mr. Armstrong likes to bridge the gap between the old and the new. 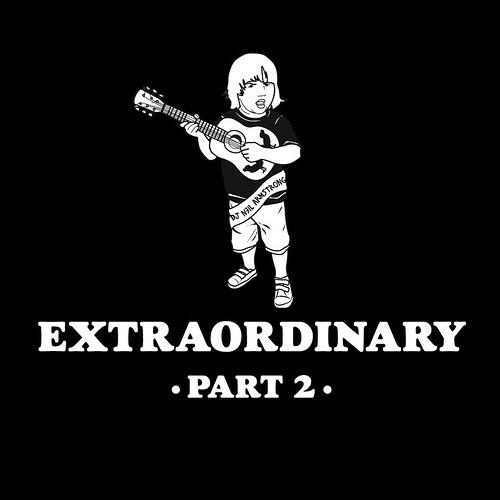 This is the intro sample of the mixtape , malady extended out into a “full length” mp3, downloadable for free – a remix of Drake’s Hold on we’re going home . 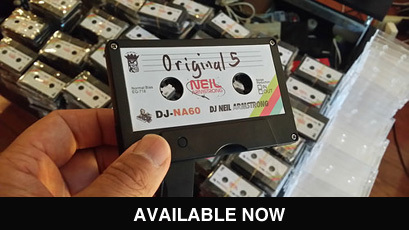 On Feb 14th, Neil Armstrong will be releasing the mixtape exclusively via thefuture.fm – http://www.tinyurl.com/djnaxthefuturefm. If you happen to be in NYC Wednesday Feb 12th, come thru and hear a sneak peak of the new mixtape a few days early and have a early valentine’s day dinner at Fat Buddha in the LES for his “Dinner & A Mixtape” event. Thinking back I would say that Bittersweeet was probably my favorite mixtape that got me a lot of attention… which was pretty strange for the time period. My background was as a battle DJ. A Hip Hop DJ. So I was supposed to play Wu-Tang. Definitely not love songs. But I always dared to be different, sickness and this mixtape ended up in the hands of some pretty important folk. Among those people was a person named Ashley Nicoles, who at the time happened to be Damon Dashes and Jay-z’s personal assistant. Through him I imagine, the mixtapes made their way up the rocafella food chain, and according to word of mouth stories they ended up in the hands of Mr Carter, and Damon Dash. In fact, I had a meeting via Ashley sometime in 2004 with Damon Dash, which for me being a turntablist DJ was just a crazy unimaginable eye opening experience. It was a very short conversation. Damon was in the middle of a lot of business, he said “I like your work”, and kept it moving. After that, I got a call from another music executive at Rocafella, Mr Kenny Burns, who was running “RocMusic” – the rocafella label with “non”hiphop artists. We had a longer meeting, and I ended up making this mixtape, that never really came out, because right around the time it should have come out, was when Rocafella records fell apart. Now this is in the age before twitter, before social media was so crazy. This was before camera phones and smartphones, pre selfie era. So I don’t have much documentation of what went down. All I have is what I remember, and this cover of the Rocafella mixtape that I made that would never be released. Here’s another blast from the past – A review by one of the “DJ” magazines that was around called Tablist. So that was my first encounter with Rocafella Records, and unfortunately at the time it wasn’t the greatest experience. 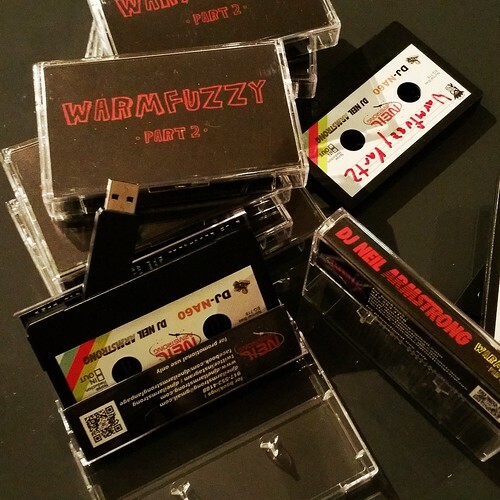 I made this mixtape, put a lot of work and effort and time into it, had delusions of grandeur of maybe working with one of rocafellas artists , and then… nothing. I got my own custom #stansmith digital label, get one of your very own NOW! Even when I was with Jay-z, thumb a lot of the current social media environment was still in its infancy. I’ve gained a lot of new followers on Facebook, for sale twitter, instagram who don’t really know all my history. To start off 2014 right, allow me to reintroduce myself courtesy of http://www.ballinonabudget.tv , my folk from the Land Down Under. 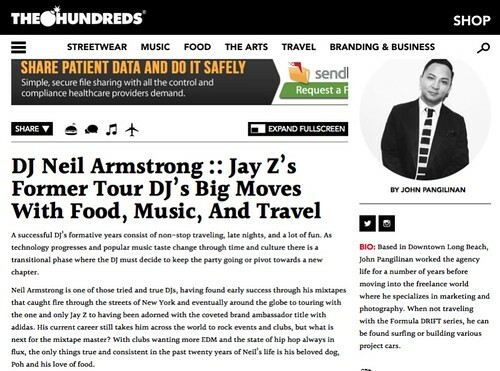 I was there in Australia recently for adidas and the Brooklyn nets, but I actually did this interview 2 years ago while I was in town for carbon Festival. Remember the #stansmith is coming back Jan 15th! As part of the adidas originals #sneakerswitch the sneakers I made ended up in the inspiring hands of Ayishat Akanbi of individualism.co.uk all the way in London England.